Originally posted on October 21, 2015, this article seems even more relevant now. A few years ago, someone scolded me on Facebook for holding to the “dead letter of a book” rather than enjoying a “living relationship” with God through His Spirit. 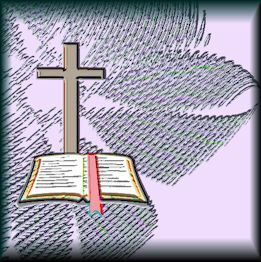 I thought of her reprimand a couple days ago when one of Tim Challies’ links to a Kindle deal providentially misdirected me to Tom Olson’s January 22, 2015 blog post, Is It Possible for Christians to Idolize the Bible? Olson produced helpful arguments as he reasoned from 2 Timothy 3:16 and 2 Peter 1:21 (please read both verses). He maintains that Scripture is breathed out from the Holy Spirit. That being the case, it makes little sense when people try to represent Scripture and the Spirit as being mutually exclusive (as my Facebook critic suggested). Olson explained that God’s Word, as given through the agency of the Spirit, facilitates our relationship with God. Add to this that one of the favored names of Jesus Christ is “The Word,” and you have a Trinitarian testimony that the Bible is not divorced from the Godhead, but is the tangible work of the Trinity in perfect harmony speaking to us. Simply put, the Bible is the voice of God. The Father breathes out the Word. The Son is the Word incarnate. The Holy Spirit carried along the biblical authors so that they would speak “from God”. The Bible is the voice of God – not just the red letters – the whole Bible. As such, the question “Is it possible for Christians to idolize the Bible?” is inaccurate, because it forces us to drive a false wedge between God and his voice. Prioritizing God’s voice is prioritizing God, and thus prioritizing his voice cannot be thought of as idolatry. Please know, I get it. The Scriptures and Jesus Christ are different entities. The Bible and the Spirit are unique from one another. But that does not mean we can or should treat them as such, divorcing them from one another. So why did my love for and reliance on the Bible’s authority offend the woman on Facebook? I can’t judge her motives for certain, nor should I try to do so, but I can think of two possible reasons. Usually, people who accuse Christians of bibliolatry operate from one of two positions. The less prevalent of the two (I hope) comes from a desire to accommodate sin without outright rejecting God. If we can minimize Scripture’s authority by hearing from “God” as we imagine Him, perhaps we can wiggle out of some demands that the Bible imposes on us. Maybe translators made mistakes, or maybe culture has advanced beyond the antiquated notions of the prophets and apostles. Surely God wouldn’t confine His expectations of us to a 2000-year-old book! Typically, however, the people who make that accusation believe that the Holy Spirit speaks to people directly. They do agree that the Bible is God’s inerrant Word, and they’ll even say that it’s the final authority for Christians. Furthermore, they actually do wish to live in obedience to its precepts. But they also insist that “relationship” with Jesus must extend beyond the Bible through personal communication from Him. They want to feel His presence and to believe that they have unique relationships with Him. Yet His Word does retain its authority and it is able to speak to us personally. As we read these precious Spirit-breathed words, He shows us how they apply to us in the 21st Century. Far from being a dead book, the Bible overflows with more treasures than we know what to do with! In holding the Bible in high esteem, we use it as a vehicle to worship its Author in spirit and in truth. Longtime readers have read this story before, but I want to tell it again in a slightly different context. In my freshman year of college, I took a Shakespeare class. That incident sobered me, teaching me one of the most important lessons in my Christian life. All too often, professing Christians read the Bible with the expectation that they can arrive at a personal, subjective interpretation. Just as I showed disrespect to Shakespeare by presuming that I could make his plays and sonnets say whatever I imagined them to say, so we show disrespect to the Holy Spirit by conforming His Word to our personal experiences and biases. What you and I think Scripture says to us personally may be vastly different from what the Lord intended when His Spirit inspired the Old and New Testament writers to record His Word. We dare not treat it like a piece of putty that we can stretch and mold according to our preferences and ideas. So, interpreting God’s Word isn’t determined by our subjective thoughts and opinions. What we think it says must be subordinated to what the Holy Spirit purposes it to mean. Having said that, reading and obeying the Bible requires us to think Biblically. Rather than viewing verses as isolated fragments, we need understand Scripture as a whole. Interpreting Scripture, it turns out, takes the same kind of analytical thought that I learned to utilize in studying literature and art. My Shakespeare professor taught me to analyze a play’s passage by examining its use of language, its historical context and (more importantly) to the context of the play itself. Additionally, it helped to study how people used certain words in 16th Century England, as well as knowing some biographical information about The Bard himself. Finally, familiarity with literary history offered insight. Understanding Shakespeare’s intent, in other words, took work. But it could be done. And I had to do the same work in studying Homer, Virgil, Malory, Chaucer, Donne, Byron, Browning, Frost and all the writers in between. In art history, I had to do the same with Leonardo, Michelangelo and Carravargio. How much more should Christians study Scripture in order to understand what the Lord says through it. Engaging our minds is mandatory in order to rightly understand God’s Word. As I’ll show you in my next blog post, however, a large number of evangelicals fail to use their minds in talking about God. Imposing your opinions on Scripture is infinitely worse than imposing them on a few Shakespearean couplets. But perhaps we make such impositions precisely because we don’t bother to think carefully about what we read. It doesn’t matter what we think any given verse means to us personally, but it matters a great deal that we think carefully about what God’s Word really means. The Bible Study leader reads a verse, and perhaps quotes a commentary before sharing how she thinks it spoke to her. Then she opens the floor to solicit thoughts from the other ladies in the room. Everyone has valid insights, she assures the group; there are no wrong answers. Okay, usually it happens a little more subtly than my description. But many Bible Study groups do encourage subjective approaches to Scripture. All too often, women receive support for drawing personalized messages from their Bible study time. For over 30 years, “How Firm A Foundation” has been my favorite hymn. It has brought me conviction about the sufficiency of Scripture, courage in times of fear, hope during heartbreak, comfort during trials and confidence regarding eternity. Originally, I had planned to blog about specific instances in which the Lord used this hymn to minister to me. And perhaps some of you might have enjoyed that narration. (Or perhaps I flatter myself in thinking you’d enjoy it.) But in mulling it over, I couldn’t see how such a post would keep the focus on Jesus. So as you listen to this hymn, I want you to think about His faithfulness in your lives rather than His faithfulness in mine. How has Scripture assured you? How has He strengthened you with His presence, blessed your sorrows, taken you through extreme difficulties and assured you that nothing will divide you from Him? The foundation of His Word is firm enough to last. Eternally. How many times have people ridiculed you for believing the Bible? Have they questioned your sanity or acted surprised that you believe serpents speak and messiahs rise from the dead? Yeah, and you’re probably already bracing for such uncomfortable conversations at Thanksgiving gatherings. So maybe I can offer a little perspective to help prepare you for conflicts around the adult table. Ladies, we’ll resume our Monday Bible Studies on 1 Corinthians 15 pretty soon. Before you accuse me of a non sequitur, hear me out. I started working through verse 35 this morning, and I had some immediate thoughts on it that made me think about the ways some non-Christians (particularly those who are openly belligerent) try to derail us when we share the Gospel with them. Look at the verse with me. Okay, I didn’t get very far into my study today (I had a stressful situation last night that kept me from getting adequate sleep), so I don’t have as much of a handle on the verse as I will when we actually work through it. But the small amount of study I did reminded me that often people who raise objections to our beliefs honestly think they’re helping us understand why Christianity is intellectually untenable. You’ll recall that Paul wrote 1 Corinthians 15 in response to those who denied the doctrine of bodily resurrection. In the first 34 verses, the apostle provided legal evidence that Christ rose from the dead. Then he argued that Christ’s resurrection ensures the resurrection of believers. Verse 35 transitions to the rather childish challenge to prove the doctrine by giving specific details. In other words, these skeptics think they’ve poked holes in Paul’s theology. They remind me of neighborhood kids who tried to prove that I was intellectually disabled by peppering me with impossible arithmetic questions that they themselves couldn’t answer. “What’s 97,043 plus 32,017?” they ask. Though I in no way recommend such a smart alec retort to non-Christians who fancy that their arguments blow holes in our Christian faith, I do want you to realize that they trust in their own cleverness. We must pray that the Holy Spirit will open their eyes the truth before they face the Lord in judgment. At that time, they won’t feel quite so clever. A little over a week ago, I wrote an article denying that my disability gives me license to cast myself in the role of an oppressed victim. If you read the Comments Section, you’ll notice a little pushback from a reader named Daniel, as well as my response that he overlooked the clause in my Comments Policy asking that disagreements with my positions be substantiated with Scripture. I’m fallible. I well understand that I’m capable of misinterpreting portions of God’s Word, particularly on secondary matters. When (not if, but when) I’m wrong, I need faithful Christians to open the Bible and, using proper hermeneutics, help me see my errors.